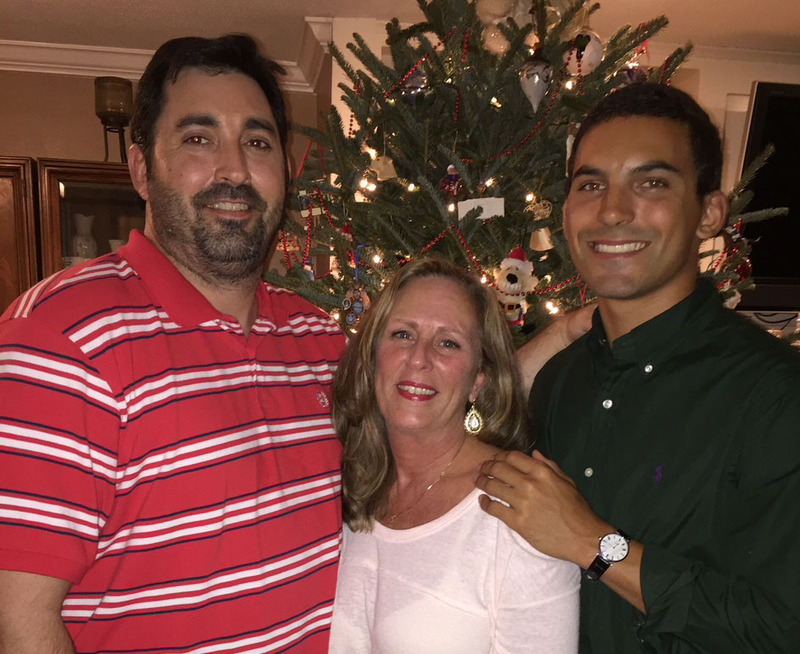 There have been many times in Trey Hebert’s life where he couldn’t hold his head up, all stemming from childhood trauma that caused a world of difficulty. “There was a moment, not too long ago, that I thought I would never be good enough to earn a degree.” Trey said. Trey’s story begins in Texas where he lived with his mother, a single mom. When Trey was just six years old, his mother was diagnosed with lung cancer. For the next three years, the young boy tagged along with his mom to her chemotherapy treatments. Despite the aggressive treatment, his mother passed away when Trey was nine. Trey’s Aunt Teresa and Uncle Eric raised Trey from that point forward. When Trey hit his teen years, all the grief and trauma caught up with him and he started to act out. His emotions related to losing his mother and his anger toward his disengaged father fueled anxiety and depression. To cope, Trey began to party – hard. His direction included a newly discovered love of the ocean, which ultimately merged with his career path. 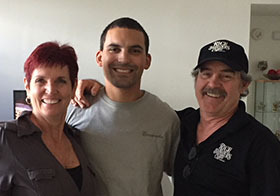 With a clear head and fresh perspective, Trey tackled his studies. He worked during the day and attended class at night. Although challenging, Trey persisted. 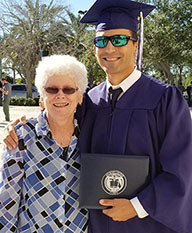 He was helped financially by scholarship support from Broward College’s Marine Program and Caterpillar Engine Company, for which he remains extremely grateful. Trey, 25, graduated in August of 2017 with an associate degree in Marine Engineering Management. Upon graduation, he worked as an engineer on an 80-foot yacht and now is the engineer aboard a 130-foot private motor yacht, which runs up the U.S. coast from the Florida Keys to New England and Nova Scotia each year. Trey, who hopes to earn a bachelor’s degree in marine engineering and naval architecture one day, has great enthusiasm for his career and the marine industry. I’m really happy I chose Broward College! A conversation between a newlywed and a single mom during an Uber ride on a Super Bowl Sunday ended up being a game changer for both women.